When Iello Games revealed their adaption of New York, I was a bit suprised to see Chistopher Walken's part recast as a giant robot Mantis. And Lawrence Fishburne as a T-Rex lawman was brilliant. But it turns out, I was mistaken, and this game is not based on the 1990 Crime Drama at all. Come watch the video and learn what the game is actually about. It'll be quick, I promise. 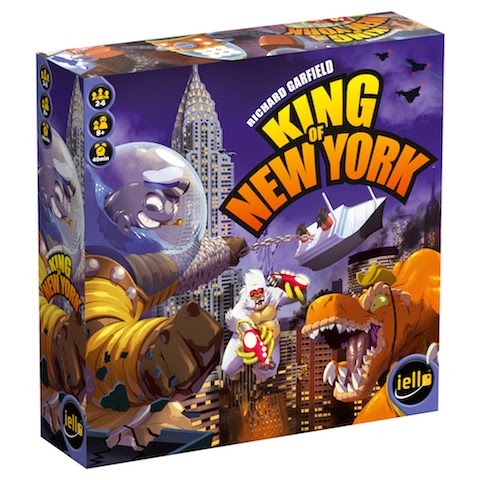 Find out more about King of New York at the Iello Games website. Randy Navarro was never crowned the King of New York. or even Dallas, TX.